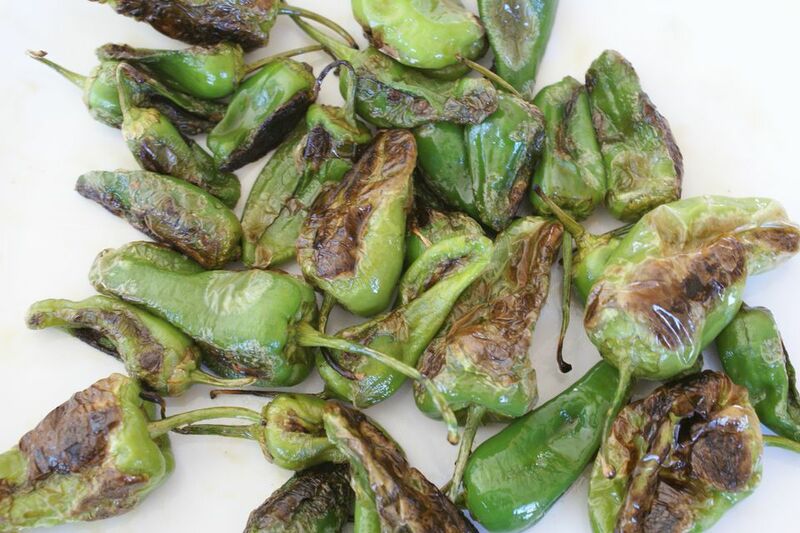 The ultimate snack and perfect appetizer, according to current opinion, is a batch of quickly sautéed and generously salted padron peppers (known as pimentons de Padron in their native Spain). They are small, grassy, and mainly mild, with every tenth one (or so) packing enough heat to keep you on your toes. Padrons hail from the Galicia region of Spain, where they are on more or less every tapas menu when they're in season. Padron peppers used to be fairly tricky to find in the U.S., but I'm seeing them more and more in produce sections instead of just at farmers markets, so keep your eyes peeled. Try them with a glass of Albariño (a white wine from Spain), but the final beverage selection is, of course, up to you. Heat a cast iron skillet over high heat until it is very hot—a drop of water should bounce and sizzle off its surface immediately upon contact. Add the oil, swirl the pan to coat it with the oil, and add the peppers. Ideally, the peppers should fit in a single layer so each pepper is sitting on the hot surface of the pan. Cook the peppers, undisturbed, until they blister on one side, about 2 minutes. Stir the peppers (or just shake the pan) and cook until peppers are blistered all over and tender to the bite, another minute or so. Transfer to a serving platter, sprinkle liberally with salt, and serve immediately.